How does a financial services giant stay nimble and competitive in the cloud era? For Fidelity International, the key is the adoption of cloud-based agile software delivery. Fidelity International, a privately-owned company founded in 1969, manages more than £223.4 billion for clients across the globe. Forty seven years of operational history give Fidelity an advantage in the market, but that history carries some baggage, including slow, traditional ways of developing and delivering software. To stay competitive, Fidelity needed to become agile and speed up its development processes. Three years ago, an engineering team within the company recognized that a Cloud Foundry Platform as a Service (PaaS) was the next logical step in further developing Fidelity’s cloud-based agile software delivery strategy. “Our journey is very much based on showcasing the benefits of Cloud Foundry, PaaS, and encouraging adoption of the platform to our business and developer colleagues,” said Emma Hammond, Global PaaS Platform Owner at Fidelity International. Today, Fidelity has more than 45 applications running on its Cloud Foundry-based platform, with more in the works. This is the story of how one team at Fidelity adopted a DevOps model to evolve. 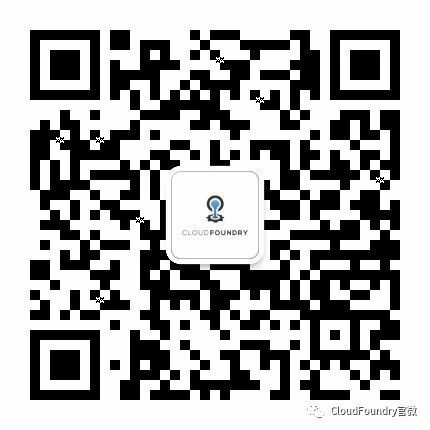 Adopting Cloud Foundry meant adopting a new culture in addition to changing the underlying technology platform. ”Working with Cloud Foundry has turned everything we know and have done to date upside down on its head,” Hammond said. Hammond’s team is unique at Fidelity—it’s the first DevOps team responsible for the entire PaaS hardware and software stack.Through pairing, test driven development, and automated CI/CD pipelines, the team is able to respond quickly, delivering a high quality robust platform based on three core values of innovation, automation, and self service. And it embraces DevOps culture by taking responsibility for its code and being willing to change. Describing the process of change, she spoke about trust, empathy, and patience. When she assembled her team, she chose people with like-minded attitudes, those “who might not necessarily have the right technical skills, but who had the right attitude and were able to leave their scar tissue, their baggage, at the door.” When assembling the team, she chose the “lean travelers” — the ones who really wanted to make a difference, she said. Critical to the success of this change was the move to a product owner model. Although Hammond has a programming background, now she builds and nurtures the team. This involves listening to their troubles, encouraging them to play to their strengths, and trusting them to do the right thing. If a developer and a product owner are willing to take responsibility for their application, she said, it becomes a winning combination to successful cloud adoption and agile rapid software development. It’s okay to get things wrong, or change your mind, she said. “If we are strong enough to admit that we got it wrong, we can learn and adapt. We gain more strength through knowledge.” Even better, you can end up delivering something quicker when you make decisions based on the information available at the time. Better still, you can innovate. Such massive change is not easy. “Sometimes we are a small voice in a crowded room,” she said. Fidelity has made a really positive start to the agile transformation required to successfully adopt cloud based technologies. 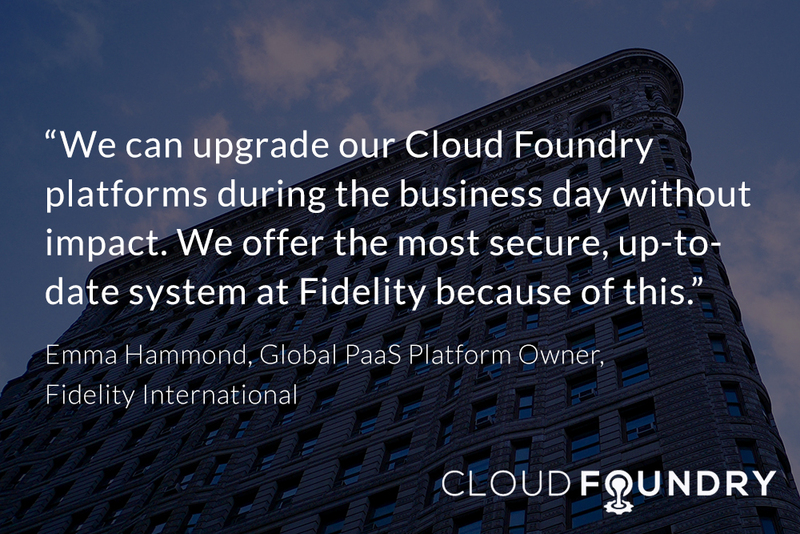 Working with a mature platform like Cloud Foundry enables Fidelity to focus on building applications capable of supporting their future business requirements. Hammond credits Pivotal and Engineer Better with coaching her team during the transition. Fidelity is a silver member of the Cloud Foundry Foundation. Learn more here: www.cloudfoundry.org/fidelity-international-joins-cloud-foundry-foundation-as-silver-member. Read about Fidelity’s experience operating Cloud Foundry across multiple data centers.